Has Turkey's purge gone too far? Jump to media player Mark Lowen reports from Turkey, two weeks after a failed coup by rebel soldiers. 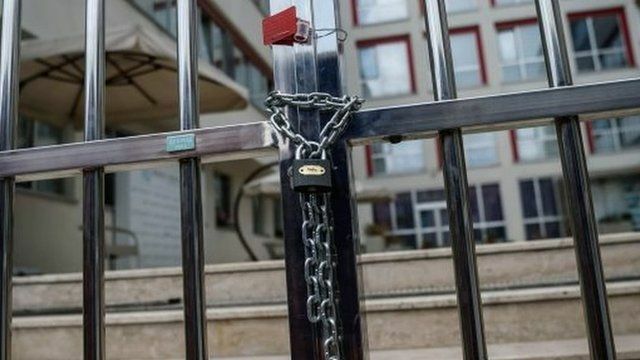 Turkey satirist fears post-coup attack Jump to media player The editor of one of Turkey's oldest satirical magazines, LeMan, speaks to the BBC about the aftermath of the attempted coup. 'I lost my husband to the coup' Jump to media player The BBC talks to the wife of one of the Turkey coup victims about her memories of the chaotic night when she lost her loved one. 'Some police, intelligence resisting' Jump to media player "It became apparent that some police were resisting, and also some elements of military intelligence", says Mark Urban. It is two weeks since an attempted coup by rebel soldiers in Turkey that was crushed within hours. Tens of thousands of people have been detained, dismissed or suspended, accused of being followers of the alleged mastermind - the cleric Fethullah Gulen. A legitimate clampdown or purge too far? Mark Lowen investigates.